An original Longia Miller design has been redesigned by Princess N Soupy is made entirely out of fleece and covers 80% of a king size bed. 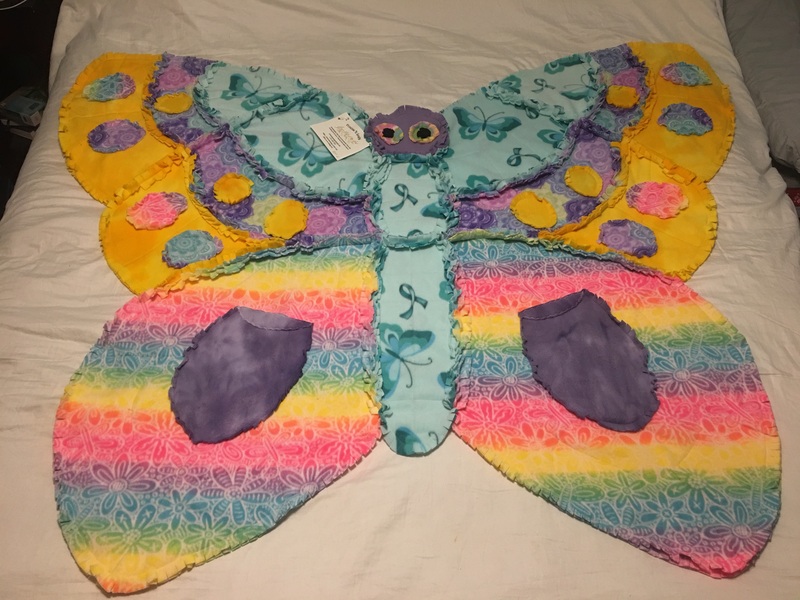 The butterfly body contains blue butterflies and blue cancer awareness ribbon, while the wings contain colors of purple and yellow and the lower wings have rainbow flower print. 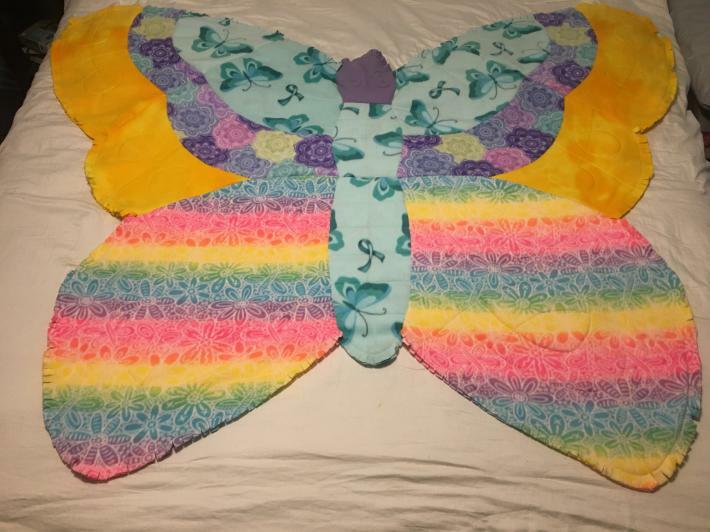 The bottom wings have pockets to hold your phone, remote, candy and more! 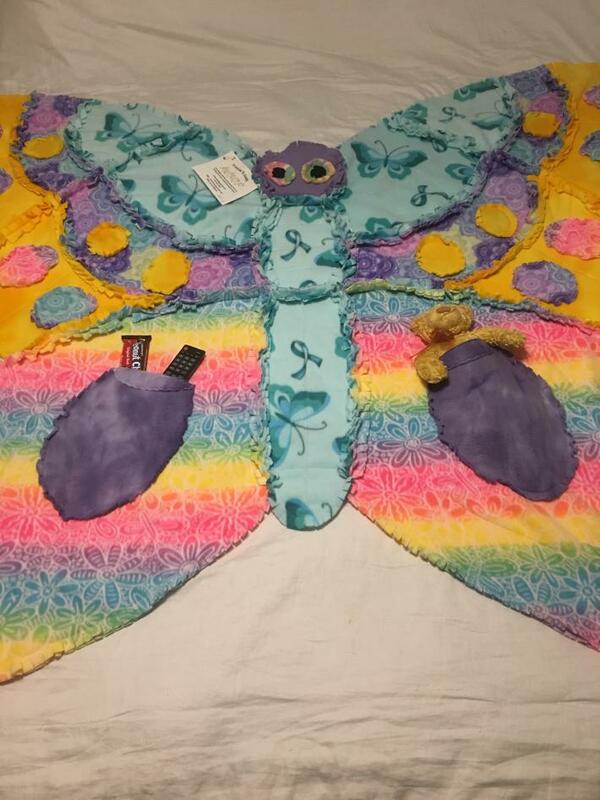 Purchase this blanket and Princess N Soupy will donate 10% to St. Jude Children's Research Hospital.